I performed with the LA Master Chorale and sitarist Rajib Karmakar on Sunday, November 18 at 7pm at Walt Disney Concert Hall. My partner Neelanjana Banerjee and I were featured on Anjoli Roy's literary radio show hosted by the University of Hawaii at Honolulu in August 2018. Both of us shared our writings, and the influence of music on our art and aesthetics. Sadubas (Ameet Mehta) with special guests Clinton Patterson and Caleb Veazy perform at CalArts 2018 Graduation Dinner. 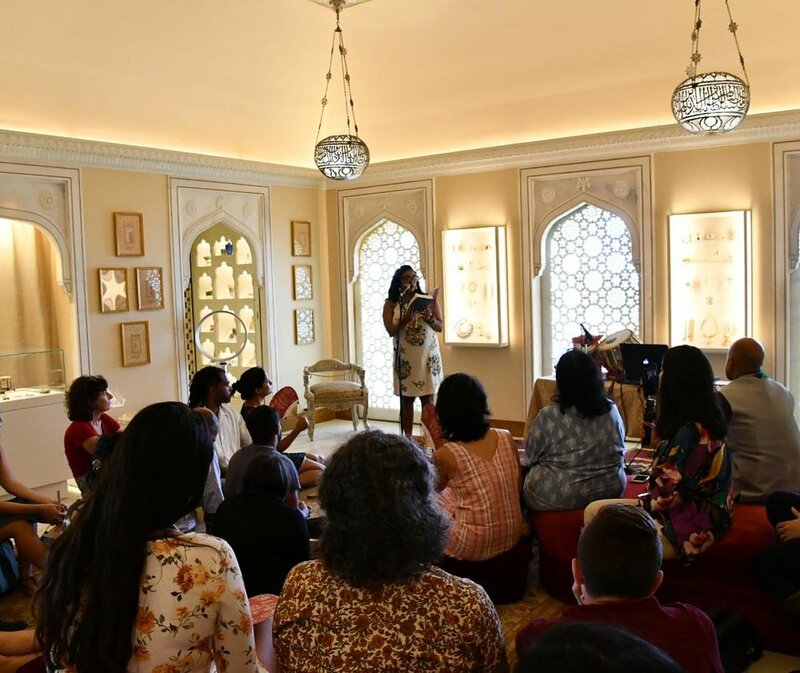 Join us Saturday, April 28th, for a one-of-a-kind celebratory experience as part of our extraordinary second annual Conference on Creativity & the Arts in Healing. Immerse yourself in an embodied experience of rhythms from Africa, Asia, Latin America, and the Middle East, featuring an amazing lineup of drumming professionals. Each expert will offer a brief solo performance with insights into its cultural significance, followed by an opportunity for us to drum and/or dance along with these soul-stirring, riveting, and captivating rhythms. Building on a tradition begun at last year's Saturday evening event, we will begin the evening at 6:30 pm with an international-themed buffet dinner followed by a facilitated group warm-up at 7:00 pm to get our rhythmic juices flowing. Art supplies will be available as well. Open to all, including those not registered for the conference. Tickets may also be purchased at the door for $50 pending availability. There's a word in Bangla, the language of Bengal, for the kind of “kicking it” that goes on between good friends into the wee hours of mornings: Adda. Adda is the kind of hang where everyone present is trustingly vulnerable, and all feelings are allowed: Frustration, uncertainty, love, laughter and more. On Eat More Mango’s debut, Nocturne, poet Tarfia Faizullah and producer Brooklyn Shanti explore the possibility of communicating via spoken word and beat driven left of center hip-hop. Brought together by executive producer, Neelanjana Banerjee, who is also the managing editor at Kaya Press, the duo spent a week in a makeshift studio in Silverlake, California creating their EP. “We would walk around LA during the day, and once night fell we would be off into another world,” says Shanti, “we’re so stuck in a place where we have to constantly translate and code switch who we are as Bengalis in America, and around Tarfia and Neelanjana, I don’t need to do that – I’m free to just be an artist.” To round out the collaboration, the group invited LA-based Tablapusher to add percussive textures to their sonic backdrops. Tonality is honored to present a piece composed by our beloved composer, Reena Esmail, called "This Love Between Us" (Movement VI) from our "Put Your Guns Down" Reprise Concert at First Congregational Church on January 7th, 2018. Raag Vachaspati (pronounced Vāchaspati, meaning Lord of speech) is a rāgam in Carnatic music (musical scale of South Indian classical music). 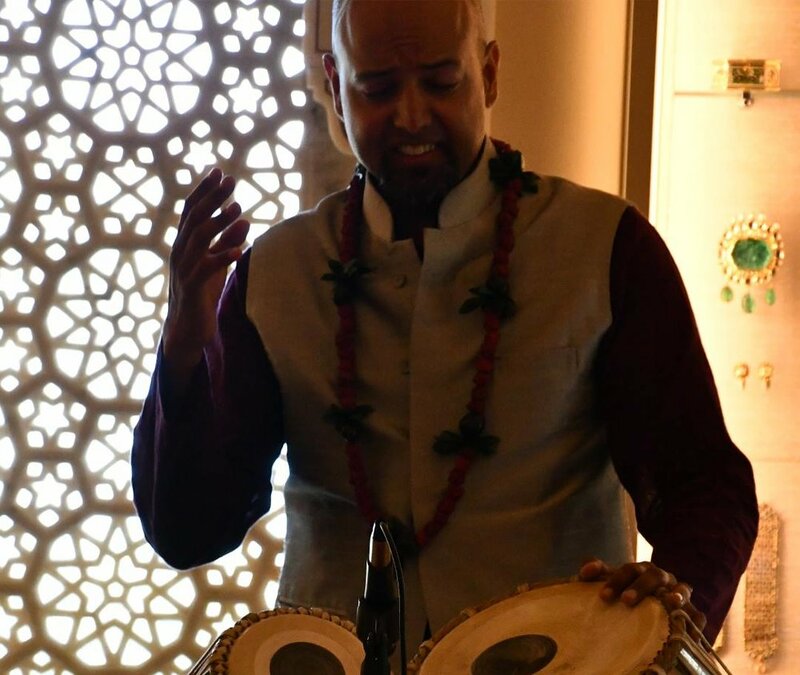 Sadubas (Robin Sukhadia and Ameet Mehta) deliver an Ableton set with live tabla at The Bowers Museum in January 2018. Video captured by Rajen Sukhadia.